Since November 1993 the transcendental experiences of children's souls, each meeting the Divine Mother hundreds of times in the Kingdom of God within* over the years, have been recorded. 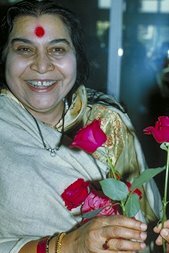 They have identified Shri Mataji Nirmala Devi to be Her incarnation, sent to deliver the message and means to participate in the promised Resurrection and evolution into the eternal spirit. “But those who have got Realization will enter into the Kingdom of God. You have to enter into the Kingdom of God here, as I say, in the Seventh Chakra. 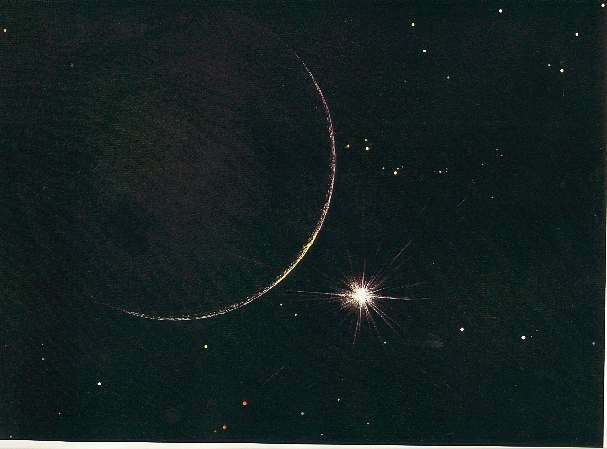 On August 20, 1995, at the home of Sahaja Yogi, Dattatreya, in Maine, USA, Kash was shown the book Visions of the Universe containing vivid and strikingly realistic paintings of the planets in the universe by Japanese master painter, Kazuaki Iwasaki. (The text is by Isaac Asimov and preface by Carl Sagan.) He was told to look at each page and point out the celestial bodies he had seen in his mystic journeys as he traveled across the universe with Shri Mataji, and reminded to be sure that they matched. The Earth looks as that on page 17. 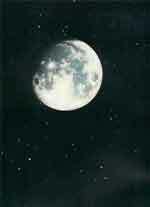 He is sure as he had seen it from outer space while descending upon it with the Great Adi Shakti on 1994-04-30.
but not as in page 22 (below); he has seen the moon from a distance as that depicted on page 19 above. 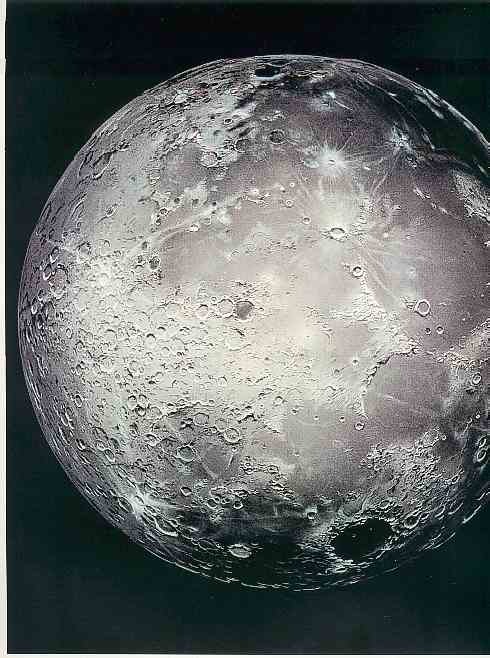 Page 22 shows the surface of the moon from close-up, but he never came that close to it. The moon is Earth's only natural satellite. The moon is a cold, dry orb whose surface is studded with craters and strewn with rocks and dust (called regolith). The moon has no atmosphere. Recent lunar missions indicate that there might be some frozen ice at the poles. The same side of the moon always faces the Earth. The far side of the moon was first observed by humans in 1959 when the unmanned Soviet Luna 3 mission orbited the moon and photographed it. Neil Armstrong and Buzz Aldrin (on NASA's Apollo 11 mission, which also included Michael Collins) were the first people to walk on the moon, on July 20, 1969. The Moon, of course, has been known since prehistoric times. It is the second brightest object in the sky after the Sun. As the Moon orbits around the Earth once per month, the angle between the Earth, the Moon and the Sun changes; we see this as the cycle of the Moon's phases. The time between successive new moons is 29.5 days (709 hours), slightly different from the Moon's orbital period (measured against the stars) since the Earth moves a significant distance in its orbit around the Sun in that time. Mars looked identical to that of pages 25. 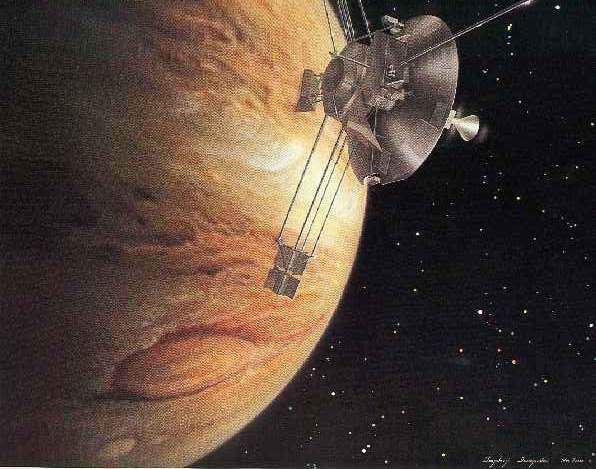 Jupiter is similar as depicted on page 27. Jupiter is the fourth brightest object in the sky (after the Sun, the Moon and Venus; at some times Mars is also brighter). It has been known since prehistoric times. Galileo's discovery, in 1610, of Jupiter's four large moons known as the Galilean moons was the first discovery of a center of motion not apparently centered on the Earth. It was a major point in favor of Copernicus's heliocentric theory of the motions of the planets; Galileo's outspoken support of the Copernican theory got him in trouble with the Inquisition. On the first day of January 1801, Giuseppe discovered an object which he first thought was a new comet. But after its orbit was better determined it was clear that it was not a comet but more like a small planet. Piazzi named it Ceres, after the Sicilian goddess of grain. Three other small bodies were discovered in the next few years (Pallas, Vesta, and Juno). By the end of the 19th century there were several hundred. Several hundred thousand asteroids have been discovered and given provisional designations so far. Thousands more are discovered each year. There are undoubtedly hundreds of thousands more that are too small to be seen from the Earth. There are 26 known asteroids larger than 200 km in diameter. Our census of the largest ones is now fairly complete: we probably know 99% of the asteroids larger than 100 km in diameter. Of those in the 10 to 100 km range we have cataloged about half. But we know very few of the smaller ones; perhaps as many as a million 1 km sized asteroids may exist. 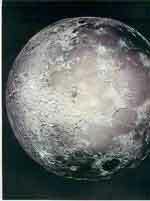 Pluto was exactly as shown on page 38. The reason he is so sure is the lack of detail when one passes Pluto on the night-side, with only a thin crescent illuminated by the very distant sun. Little is known about Pluto's atmosphere, but it probably consists primarily of nitrogen with some carbon monoxide and methane. It is extremely tenuous, the surface pressure being only a few microbars. Pluto's atmosphere may exist as a gas only when Pluto is near its perihelion; for the majority of Pluto's long year, the atmospheric gases are frozen into ice. Near perihelion, it is likely that some of the atmosphere escapes to space perhaps even interacting with Charon. The Pluto Express mission planners want to arrive at Pluto while the atmosphere is unfrozen. Universe, p.38 by Kazuaki Iwasaki. The Orion Nebula matched that of page 39. Orion the Hunter is perhaps the best known constellation in the sky, well placed in the evening at this time of the year for observers in both the northern and southern hemispheres, and instantly recognisable. And for astronomers, Orion is surely one of the most important constellations, as it contains one of the nearest and most active stellar nurseries in the Milky Way, the galaxy in which we live. Here tens of thousands of new stars have formed within the past ten million years or so - a very short span of time in astronomical terms. For comparison: our own Sun is now 4,600 million years old and has not yet reached half-age. Reduced to a human time-scale, star formation in Orion would have been going on for just one month as compared to the Sun's 40 years. 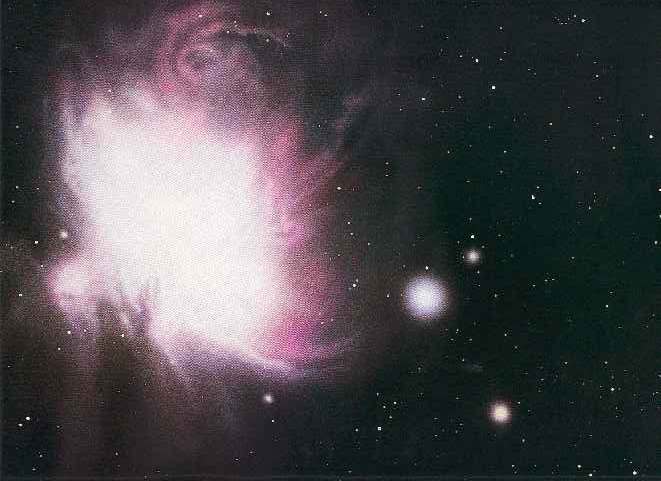 Just below Orion's belt, the hilt of his sword holds a great jewel in the sky, the beautiful Orion Nebula. Bright enough to be seen with the naked eye, a small telescope or even binoculars show the nebula to be a few tens of light-years' wide complex of gas and dust, illuminated by several massive and hot stars at its core, the famous Trapezium star. It is located near the middle of the"sword hanging from Orion's"belt of stars. Its central bright region is about 1 in diameter and it has a total extension of 3. It is about 1,000 light-years distant and as many as 60 light-years in diameter. The nebula is an enormous cloud of gas surrounding a cluster of very hot young stars. To the naked eye the nebula appears to be a faint star but becomes a vague patch of light when viewed through binoculars. The bright region is divided into two sections, the northeast portion being cataloged separately as M43 or NGC 1982. The Orion Nebula is the nearest major site to earth of massive star formation. Universe, p.43 by Kazuaki Iwasaki. The Black Hole was like that of page 43. 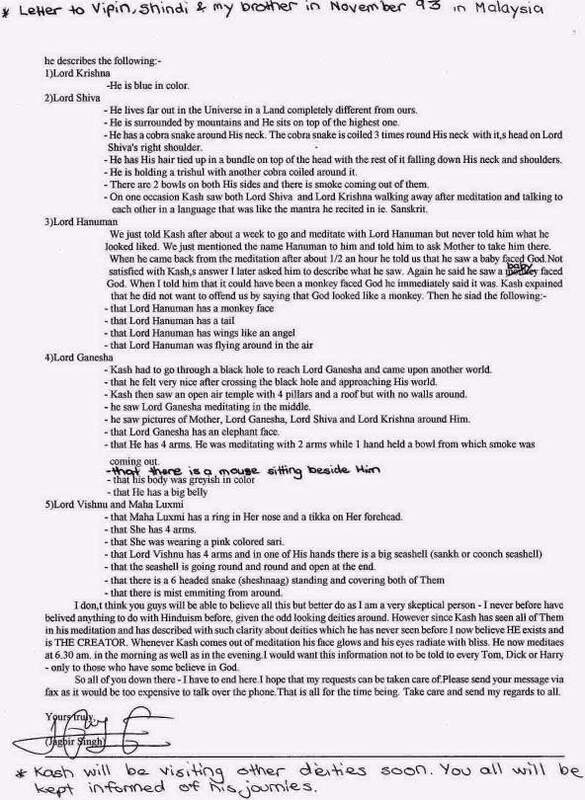 Kash is very sure as the Great Cosmic Mother took him through it on his first visit to Shri Ganesha. Black hole, in astronomy, celestial object of such extremely intense gravity that it attracts everything near it and in some instances prevents everything, including light, from escaping. The term was first used in reference to a star in the last phases of gravitational collapse by the American physicist John A. Wheeler. Gravitational collapse begins when a star has depleted its steady sources of nuclear energy and can no longer produce the expansive force, a result of normal gas pressure, that supports the star against the compressive force of its own gravitation. As the star shrinks in size (and increases in density), it may assume one of several forms depending upon its mass... . The galaxy was alike that of page 45, but there are countless others in the universe. The Milky Way is the galaxy which is the home of our Solar System together with at least 200 billion other stars and their planets, and thousands of clusters and nebulae including at least almost all objects of Messier's catalog which are not galaxies on their own. All the objects in the Milky Way Galaxy orbit their common center of mass, called the Galactic Center. As a galaxy, the Milky Way is actually a giant, as its mass is probably between 750 billion and one trillion solar masses, and its diameter is about 100,000 light years. 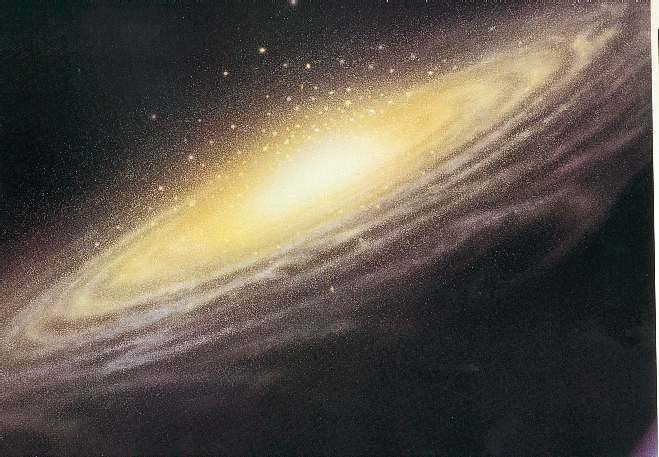 Radio astronomial investigations of the distribution of hydrogen clouds have revealed that the Milky Way is a spiral galaxy of Hubble type Sb or Sc. Therefore, out galaxy has both a pronounced disk component exhibiting a spiral structure, and a prominent nuclear reagion which is part of a notable bulge/halo component. Kash has also seen Venus, Mercury and the Sun but they are not similar to that in Visions of the Universe, which depict the surface area of these planets. But they do look familiar as he often saw them from a distance as he traveled across the Universe with the Great Adi Shakti Shri Mataji Nirmala Devi to visit the Divine Messengers. “I had an experience. I can't prove that. I can't just explain it but everything that I know as a human being, everything that I am, tells me that it was real. I was given something wonderful, something that changed me forever, a vision of the universe that tells us undeniably how tiny and insignificant and how rare and precious we all are, a vision that tells us that we belong to something that is greater than ourselves, that we are not, that we are not alone. Pratyag-Rupa [781st]: Looking inside away from sense and sense organs: Introversion or 'Antarmukhatva'. Visva-Dharini [759th]: Who contain all the universes. 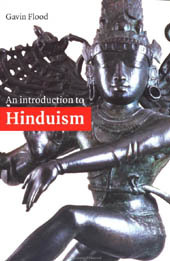 "This impersonalist monosim is central to the earlier Upanishads and becomes a theology of great importance, particularly in the later Vedanta tradition and in modern Neo-Hinduism. The essence of the self is the absolute, realized within the self, through the knowledge of the ritual's inner meaning and the withdrawal of the senses from the sensory world. The emphasis in the Upanishads is on the internalization of ritual and the texts are even critical of their external performance. The true meaning of the ritual is not to be found in outer action, but in the realization of its symbolism and its esoteric meaning revealed by the Upanishads. Over 300 literary works are ascribed to Shankara. Some are poetic hymns, others are instructive and the rest are scriptural analysis, all written in Sanskrit. Most renowned are his critical commentaries on the Brahma Sutras, the twelve Upanishads, the Bhagavad Gita and the Sanat Sujatiyam. While his devotional outpourings are among the most oft-recited of Hindu chants, he is associated more with his austere philosophical theses. Here is offered a sparse sampling of both worlds. I bow to Vinayaka, who with glee holds a half-eaten modakam, who is the ever-present means of liberation, who has the moon as an ear ornament, who protects all the worlds, who is the single leader for those who have been left leaderless, who destroyed the elephant demon and who swiftly removes the blemishes of those who bow to Him. I salute the immaculate, auspicious, tranquil, without beginning or end, life of the universe, unbounded by time, space or objectivity, who is known through the Vedas, whose effulgence pales the light of millions of suns and moons risen together, who is invisible, who is neither heat nor cold, who is pure knowledge. Disease, decay and other troubles weigh me down and give me sorrow. You are of indomitable valor, O compassionate one, grant me devotion to thy feet and love towards you. I salute Him who is generous, who is ever devoted to Sri Rama, whose deeds are great, who appears with a mace to his enemies, who is ever serene in attitude, the destroyer of darkness whose body is mighty. You have paths as many as the eyes can see; and when your waves come to sight, how can the waves of samsara remain? You are yellowish, having been to the dwelling place of Vishnu who wears yellow silk. O Mother Ganga, if my slender body falls on your lap, then even attainment of the status of Indra appears small in comparison. Beloved Shakti of Siva, fullness everlasting and fully manifest as this food; O, Mother of the universe, nourish us with this gift of food so that we may attain knowledge, dispassion and spiritual perfection. Goddess Parvati is my mother. God Mahesvara is my father. All devotees of Siva are my family. All three worlds are my home. Seek the company of the pious. Develop strong faith in God. Acquire with determination peace and divine qualities. Approach a pious one learned in the scriptures. Worship at his sandals daily. Concentrate upon the highest Brahman. Perceive everywhere the all-pervading Self. See this world as falsified by It. Identify the Self in you with Parabrahman and stay in the state of experience divine. I am indivisible, one by nature, all-pervading like space. All this universe, being other than the Self, is unreal; for the Self alone is all-inclusive, constitutes the ultimate goal, is self-established and self-dependent. I am that One, auspicious and pure, that alone remains. Sankara's two primary philosophical dissertations are the Upadesasahasra and the Viveka Chudamani. The latter, the Crest-Jewel of Discrimination, is considered by many his magnum opus. In it Shankara elaborates the very nature of Reality as he dissects and reveals the subtle essence of the world, body, mind and soul. It is a profound and lengthy treatise. The excerpt below offers a glimpse of his teachings on the soul. There is a self-existent Reality, which is the basis of our consciousness of ego. That Reality is the witness of the three states of our consciousness, and is distinct from the five bodily coverings. That Reality is the knower in all states of consciousness—waking, dreaming and dreamless sleep. It is aware of the presence or absence of the mind and its functions. It is the Atman. That Reality sees everything by its own light. No one sees it. It gives intelligence to the mind and the intellect, but no one gives it light. That Reality pervades the universe, but no one penetrates it. It alone shines. The universe shines with its reflected light. Because of its presence, the body, senses, mind and intellect apply themselves to their respective functions, as though obeying its command. Its nature is eternal consciousness. It knows all things, from the sense of ego to the body itself. It is the knower of pleasure and pain and of the sense objects. It knows everything objectively, just as a man knows the objective existence of a jar. This is the Atman, the Supreme Being, the ancient. It never ceases to experience the infinite joy. It is always the same. It is consciousness itself. The organs and vital energies function under its command. Here, within this body, in the pure mind, in the secret chamber of intelligence, in the infinite universe within the heart, the Atman shines in its captivating splendor like a noonday sun. By its light, the universe is revealed. It is the knower of the activities of the mind and of the individual man. It is the witness of all the actions of the body, the sense organs and the vital energy. It seems to be identified with all these, just as fire appears identified with an iron ball, but it neither acts nor is subject to the slightest change. The Atman is birthless and deathless. It neither grows nor decays. It is unchangeable, eternal. It does not dissolve when the body dissolves. Does the ether cease to exist when the jar that enclosed it is broken? The Atman is distinct from Maya, the primal cause, and from Her effect, the universe. The nature of the Atman is pure consciousness. The Atman reveals this entire universe of mind and matter. It cannot be defined. In and through the various states of consciousness—waking, dreaming and sleeping—it maintains our unbroken awareness of identity. It manifests itself as the witness of the intelligence. With a controlled mind and an intellect which is made pure and tranquil, you must realize the Atman directly, within yourself. Know the Atman as the real "I.”Thus you cross the shoreless ocean of worldliness, whose waves are birth and death. Live always in the knowledge of identity with Brahman and be blessed. CHANTS ARE DRAWN FROM SHANKARA THE MISSIONARY: 1978, CENTRAL CHINMAYA MISSION TRUST, MUMBAI. THE ATMAN IS FROM VIVEKA CHUDAMANI: TRANSLATED BY SWAMI PRABHAVANANDA AND CHRISTOPHER ISHERWOOD, 1947, VEDANTA PRESS, HOLLYWOOD. Do not identify with the body. It is the marvelously designed mobile temple to house the immortal and evolving spirit in its Earth experience. People tend to nowadays tacitly to assume that the body and matter are primary. We are challenged to reverse the picture. You are a spiritual being, immortal and imperishable. You belong to the world of spirit and have descended of intent into the prepared vehicle of a body, a"temple"of great beauty that enables you to sojourn for a while in the heavy vibrations of the world of matter, in order to learn the lessons that personality can teach. “Aquarius is the age of discovery, the time to touch our innermost being, and to reach out into the most distant depths of the universe. As we travel further into ourselves, farther into space, and further into the New Millennium, our discoveries will lead us to change everything about ourselves and our societies. “So modern writers have raise questions as to whether the mystic experience really has something basically in common for every person sensitive to its potentiality, in whatever culture or time: we are left in doubt (as we basically always were, on an intellectual level), about whether mystical awareness does really signify a common reality for all sentient beings — even though it is a reality that most people only fleetingly experience, if at all. Till it is clear to them that it is the Truth. “One who knows the inner self knows the external world as well.